Estonia-based Magnetic MRO has been selected by Latvian airline to provide maintenance on the carrier’s fleet of Bombardier aircraft. The agreement concerns the wheels and brakes of its Q400 and the wheels of CS300 aircraft, reported the maintenance provider. 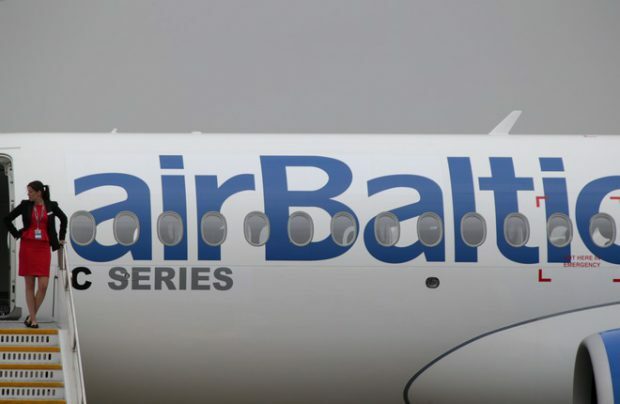 airBaltic decided ultimately to go with the Estonian provider due to its “established reputation regarding its innovative and high-tech services,” with special emphasis put on Magnetic’s ability to work with the CS300. The Latvian carrier became the pioneer operator of the type last month, and it announced the delivery of 19 more of the aircraft, which are to be handed over to the company by 2020. Magnetic MRO operates as a total technical care organization with a client base all around the world, including Russia’s Aeroflot and Rossiya Airlines. “airBaltic has always been a loyal partner with very high expectations,” said Risto Maeots, CEO of the Estonian company. airBaltic currently operates two 145-seat CS300s and 12 79-seat turboprop Q400s, in addition to eleven Boeing 737-300s and 500s. The carrier is planning on using its new CS300s on longer routes, due to the aircraft’s extended range, and they are being introduced by the airline’s in order to replace its fleet of ageing Boeing 737s.